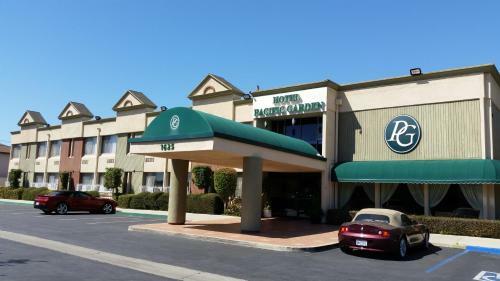 Not far from the international airport LAX, the Hustler Casino is a gambling house open all year 24/24. The establishment invites you at one of it’s 80 gambling tables where many Progressive Jackpots can be won. This casino does not features any slot machines. In the poker room, tournaments are often organized. Between two stakes, the restaurants Larry Flynt’s Bar & Grill, Corky’s Snack Bar and the Coco's serves refreshing food & drinks. The Hustler casino suggests you a panoply of hotels in which you could choose to live according to your desires. The venue is located 15 minutes from Los Angeles LAX airport, from the Downtown of L.A, but from the famous beach of Long Beach at South Bay. As the second biggest city in USA, Los Angeles is situated on the Pacific Coast and known worldwide for its cinema industry and its immense beaches. Divided into numerous quarters and municipalities, it offers for tourists different places to go out and to do activities. Shopaholics and luxury shops amateurs will go to the big Malls of the city and at the Beverly Hills quarter. The quarter of Santa Monica will remind you the beaches of Baywatch, and those who want to admire beautiful houses will go to Bel-Air.